Resources - Lewis Kannegieter Law, Ltd.
At Lewis Kannegieter Law, Ltd. we firmly believe that knowledge is power. We are committed to providing education and information to the community and have compiled this Resource Directory to share information that may be of use. 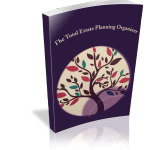 Our Resources: Here you will find a variety of handouts, e-books, and books on estate planning, family law, and our services. Community Resources: Links to a variety of local and community organizations and resources in the Monticello area. County Resources: Includes links for courts, sheriffs, property offices, and social services for several Minnesota counties. Minnesota Legal Resources: Links to Minnesota law related pages – statutes, courts, and more. Pro Se and Pro Bono Resources: Helpful websites for those looking for a pro bono (free) attorney or planning to be pro se (without an attorney). Child Support, Custody & Parenting Resources: A variety of resources for parents dealing with child support, custody, and parenting time issues. Includes links to the Minnesota Child Support Calculator and classes for divorcing parents. Domestic Violence Resources: National resources and local agencies dedicated to helping victims of domestic violence. Disclaimer: The information provided on these pages is for informational purposes only and is not intended to be legal advice. Lewis Kannegieter Law, Ltd. (LKL) has no control over the content of other websites. LKL will update these resource pages periodically, however you will need to verify the resources provided are up to date. LKL makes no representation by the inclusion or exclusion of entities, individuals, or information herein. LKL makes no warranties about the individuals and information provided and is not liable for damages resulting from the use of this information.